A meeting place for farmers, producers, market vendors, chefs, mixologists, stylists, food activists and all who love to eat food with a conscious. We are a Community Grocer providing market vendors offering seasonal and artisan products with a platform to grow their brands on a daily basis in Cape Town. Our close proximity to some of the city's most prestigious restaurants and chefs has inspired us to curate a culinary pantry with over 15 000 unique ingredients, tools, utensils and plating mechanisms catering to a wide array of culinary styles, cuisines and applications. This includes both local and internationally sourced products tailored to professionals executing product and menu development as well as home-chefs bringing their favorite recipes to life. A humbling byproduct of this exposure to quality brands from around the world has manifested itself within a growing desire to share our experiences with local producers. By offering guidance in areas such as labelling, packaging design and entry to market, we aspire to act as a launchpad for young brands choosing to operate within the conscious food landscape. Just as important as the alternative food movement has been, the Olive Branch Deli is a firm proponent of the shift towards integrative medicine and the emphasis it places on the healing potential of what we choose to eat. To this extent, we have consulted with local holistic and natural-medicine practitioners to curate a selection of prescribed ingredients highlighting the link between food, nutrition and our overall health. Creating a healthy environment for our gut's microbiota and strengthening our immune systems are of primary concern when dealing with the origins, prevention, and treatment of chronic diseases. Our dispensary of gastronomic-healing foods includes a variety of fermented products (kimchi, sauerkraut, probiotic yogurts, kombucha, kefir, natto, tempeh, lacto-fermented pickles), collagen-rich bone broths, tonics, teas, tinctures, superfoods, spices, fresh produce (ginger, garlic, chillies, lemons) as well as a wide variety of pure therapeutic-grade essential oils for aromatherapy, medicinal use and body care. Sourced from their countries of origin, organic when available and non-irradiated, our over-sized spice-rack features over 450 unique spices and herbs from around the world. All of our spices are sold per-weight to encourage experimentation in both professional and home-chefs and at the same time discourage any waste associated with purchasing beyond the requirements of a specific recipe. Whether you're representing a specific cuisine, adding heat to a dish or introducing your taste buds to a new texture or taste, our portfolio of spices is constantly growing and we encourage our clients to set us the challenge of finding any spices or herbs they may have experienced during their travels, seen on a cooking show or read about in a recipe book for us to source and share with others. Inspired by the General Stores of the early 1900's, our custom-built Seed Counter features an array of legumes, pulses, grains, cereals, oilseeds, and dried berries. Sourced locally and organic whenever possible, the contents of our Seed Counter are decantable into our own or self-provided packaging and are sold per weight to suit a variety of recipes and pantry sizes. The latest addition to the Seed Counter has been our range of heirloom growing seeds. The rise of modern agricultural practices to meet global food demands has drastically reduced our genetic crop diversity, making it more vulnerable to pests, diseases, and changes in climate. Organic, open pollinated, heirloom seeds (landraces) have the ability to adapt to changing climatic conditions as they occur, while the variability inherent in landraces will provide the basis for the continued selection of crops that are the most inclined to adapt to these changes. Seed Saving & Sharing, the practice of preserving the reproductive material of agricultural plants, is an important component of Permaculture and something which we can all participate in, even in a city-setting. Our shrine to the humble, yet misunderstood (and mistreated) grain. The effects of growing hybridised wheat, exposed to pesticides and herbicides, in mineral-and-nutrient-deprived soils is clearly reflected in the rapidly growing prevalence of individuals intolerant to wheat and gluten. This problem is exacerbated by the standards present within modern milling practices to remove the Germ and Bran components of the grain for the purposes of increasing its shelf-life. The Germ and Bran are the parts of the grain which contain all the proteins, essential fatty acids, vitamins, minerals, enzymes and other nutrients that are essential to carbohydrate and fat metabolism. Furthermore, chemicals are sometimes added to whiten or "bleach" the flour and to prevent the growth of mould. In response, we are working closely with local farmers dedicated to growing organic heirloom wheat, maize and ancient grains in order to mill fresh flour on demand in-store using a stone mill. With the Bran and Germ still present, our freshly milled whole-grain flour will have a shorter shelf-life but will retain the nutritional integrity of the grain and provide pastry chefs, professional and home-bakers with access to quality unadulterated flour. 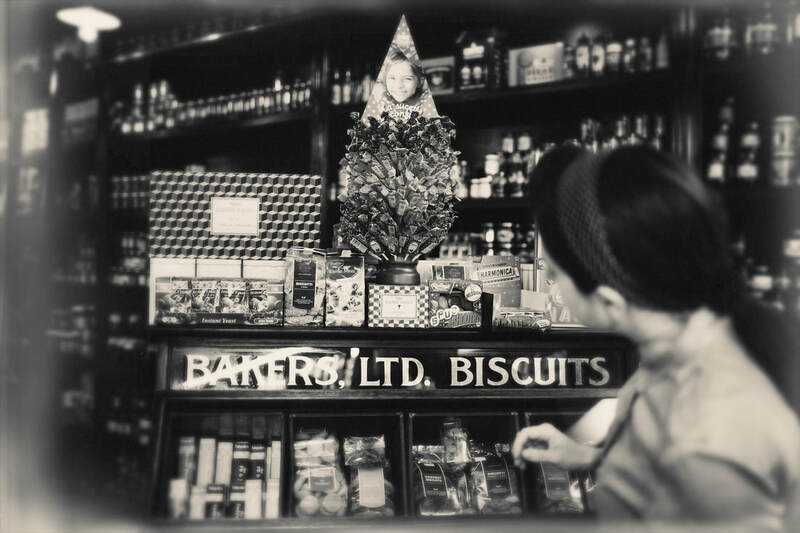 Originally foreseen as a separate and distinct component of our business, our commitment to reducing our reliance on and circulation of unnecessary packaging now underlies our core concept as a Community Grocer. In a "disposable society", we realised early on that making any real change in this regards would require the conscious and collaborative participation of our community of producers and customers. From the suppliers' point of view, our efforts have been focused towards encouraging suppliers to provide their products in bulk or switch to more sustainable forms of packaging. From the consumers' point of view, our focus has been on Precycling, the concept of eliminating waste before it is created, by offering refunds on returnable packaging as well as through encouraging daily or recipe-based purchases by offering many of our products on-tap. Alchemy is defined as a seemingly magical process of transformation, creation, or combination. 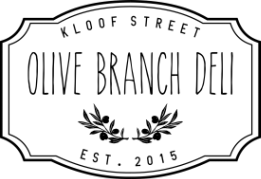 Using the Community Grocer concept as a platform for research and development and through collaborations with our growing network of producers, the Olive Branch Deli is home to several unique products available exclusively at our store in Kloof Street. Early Harvest Olive Oil (EHOO) - our very own emerald green extra virgin olive oil elixir made from young unripe olives and rich in polyphenols and antioxidants. Artemis Healing Cream - all-natural, hand-made and allergen-free, it can be used to treat a diverse range of facial and skin-related conditions – wrinkles, eczema, scars, burns, pigmentation and sunspots to name but a few. Cure-Ate - our range of bespoke, home-cured, olive recipes inspired by various cuisines and cultures. We apply much the same principles in sourcing the recipe books and novels which make up the Atheneum that we do when curating our pantry of food ingredients. Our cosy library of gastronomical-related literature features both local and international authors, covering a wide range of topics from South American cuisine to indigenous foraging and fermenting at home. Our face-to-face relationship with the publishers allows us to constantly develop and refine our literature offering over time and we encourage our clients to inspire us with their own recommendations for literary enlightenment which we can share with others. With the boundaries of gastronomy constantly being tested and the distances between cultures and cuisines ever-decreasing, we have found ourselves going beyond the traditional product lists of our suppliers to source ingredients directly from their countries of origin with the hope of inspiring chefs and mixologists, both professional and at home, to experiment with new techniques and flavours. Some examples include cooking with tree resins from the Middle East and the West African Miracle Berry which causes sour foods (such as lemons and limes) subsequently consumed to taste sweet. Where exotic fresh produce is concerned, our commitment to inspiring and expanding the palette has seen us partnering with local organic and hydroponic farmers to give economies to new and alternative crops and plants that are not readily available in South Africa. These relationships not only provide employment and growth opportunities for local farmers but also stimulate the demand for new research and techniques that allows us to adapt to changing climatic and economic situations. Sign up for our Organic Veggie Boxes here!